I’m back to post some of my recent paintings, with an update on my current goings-on. 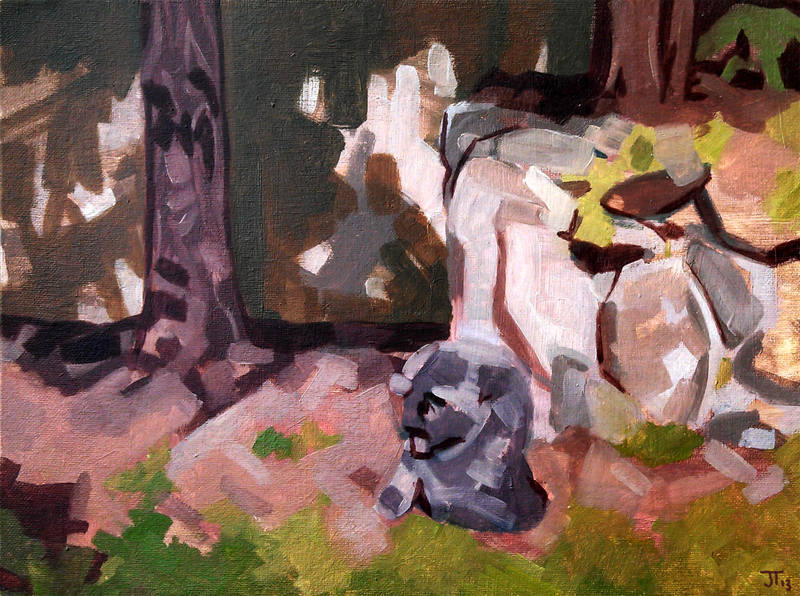 Shine in the Backyard, oils on panel, 2013. 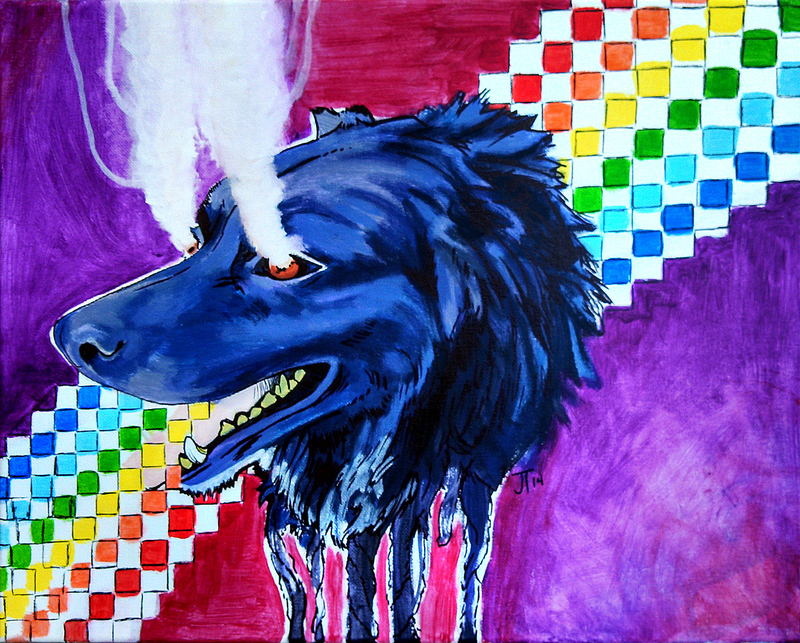 Gutter Hound, acrylics on canvas, 2014. 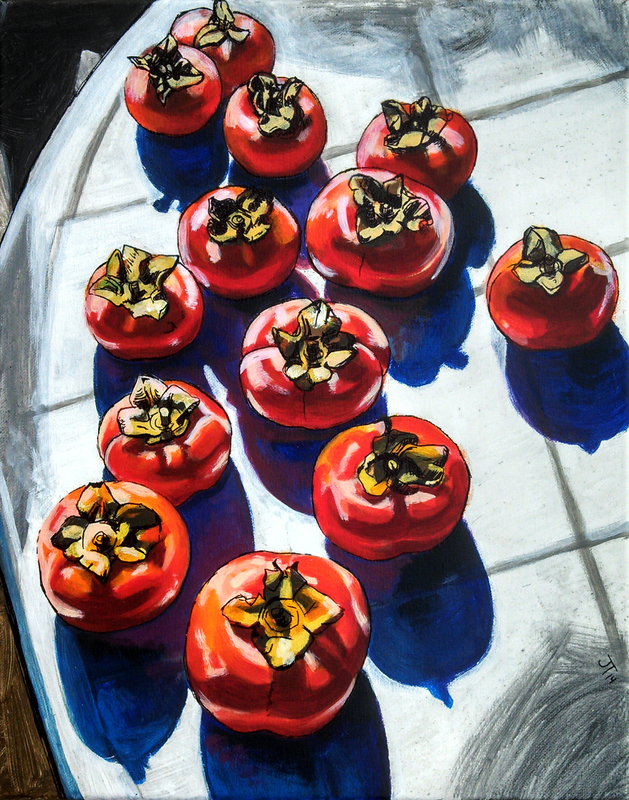 Persimmons, acrylics on canvas, 2014. The last two paintings were done with acrylics, which I’m only just now becoming accustomed to. They’re so convenient for painting indoors because you don’t have to worry about ventilation, toxic chemicals, or making much of a mess. I’m by no means giving up on oils, but acrylics suit my purpose very well for the time being. I’m about to begin my first-ever mural project for Public Beer Wine Shop in Long Beach, CA in the next couple of weeks. The mural will encompass iconic imagery of Long Beach, as well as some boozy good fun to keep with the theme of the shop. I can’t wait to show the progress here! In addition to the mural, I’ll be working on two paintings for the Juried Alumni Exhibition at Wright State University in Dayton, OH. I was fortunate to attend WSU and received my BFA from them in 2012; due to my great experience as an undergrad there I’m eager to submit work for their upcoming show. That covers the basics for What’s Going On With Me in February – 2014’s gonna be a hell of a year!